/ Modified jul 24, 2018 10:11 a.m.
PHOENIX — Temperatures approached 120 degrees in parts of the U.S. Southwest on Monday, and forecasters said this week could bring the region's hottest weather of the year. "I'm hoping to stay in the air conditioning all day, and I'm planning to take it easy," said Lisa Kirby, who was visiting from Rhode Island for a conference. A heat advisory was in effect for west Texas and southeast New Mexico into Monday evening, with high temperatures well into the triple digits, the service said. Afternoon school bus service was canceled Monday in Las Cruces, New Mexico, where the mercury climbed to 105 degrees (41 Celsius). The operator of California's electrical grid to call for voluntary conservation of power Tuesday and Wednesday due to high temperatures in much of the West. Parts of Utah were also issued an excessive heat warning with temperatures this week expected to approach 109 degrees. The weather service said the warning for Utah's Dixie and Lake Powell regions will be in effect Tuesday through Thursday. "They range from someone who just needs to get inside to someone who needs to get urgently to the hospital," Hook said. 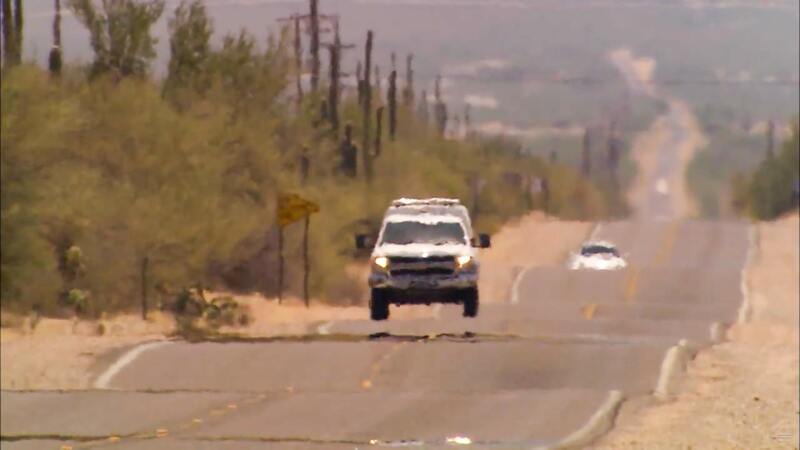 Forecasters say monsoon moisture will return to the Phoenix area from the east by the weekend. Arizona's monsoon season brings summer rains that can cause flash flooding and bring heavy winds.